(Gen 2:15-17) And the LORD God took the man, and put him into the garden of Eden to dress it and to keep it. And the LORD God commanded the man, saying, Of every tree of the garden you may freely eat: But of the tree of the knowledge of good and evil, you shall not eat of it: for in the day that you eat thereof you shall surely die. Did you get anything out of these verses? How does this part of the scriptures make you feel? Why was “God’s Command to Adam” extracted from the scriptures? Do each of you now have a snapshot of God and Adam in your minds? You can try to imagine: If you were the one in that scene, what would the God in your heart be like? What emotions does this image make you feel? This is a moving and heartwarming picture. Though there is only God and man in it, the intimacy between them is so worthy of envy: God’s profuse love is gratuitously bestowed upon man, surrounds man; man is naive and innocent, unencumbered and carefree, blissfully living under God’s eye; God shows concern for man, while man lives under God’s protection and blessing; every single thing man does and says is closely linked to and inseparable from God. You can say that this is the first command God gave man since creating him. What does this command carry? It carries God’s will, but it also carries His worries for mankind. 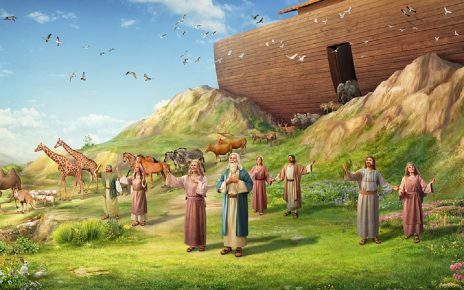 This is God’s first command, and it is also the first time God worries about man. That is to say, God has had a responsibility toward man since the moment He created him. What is His responsibility? He has to protect man, to look after man. He hopes man can trust and obey His words. This is also God’s first expectation of man. 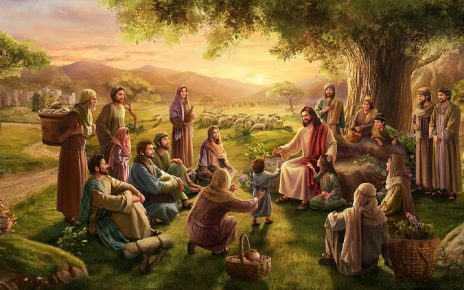 It is with this expectation that God says the following: “Of every tree of the garden you may freely eat: But of the tree of the knowledge of good and evil, you shall not eat of it: for in the day that you eat thereof you shall surely die.” These simple words represent God’s will. They also reveal that God’s heart has already begun to show concern for man. Among all things, only Adam was made in God’s image; Adam was the only living thing with God’s breath of life; he could walk with God, converse with God. That is why God gave him such a command. God made it very plain in this command what man can do, as well as what he cannot do. In these few simple words, we see God’s heart. But what kind of heart do we see? Is there love in God’s heart? Does it have any concern in it? God’s love and concern in these verses can not only be appreciated by people, but it can also well and truly be felt. Isn’t that so? Now that I’ve said these things, do you still think these are just a few simple words? Not so simple, right? Could you see this before? If God personally told you these few words, how would you feel inside? If you are not a humane person, if your heart is ice cold, then you wouldn’t feel anything, you wouldn’t appreciate God’s love, and you wouldn’t try to understand God’s heart. But if you are a person with a conscience, with humanity, then you would feel differently. You would feel warmth, you would feel cared for and loved, and you would feel happiness. Isn’t that right? When you feel these things, how will you act toward God? Would you feel attached to God? Would you love and respect God from the bottom of your heart? Would your heart grow closer to God? You can see from this just how important God’s love is to man. But what is even more crucial is man’s appreciation and comprehension of God’s love. In fact, doesn’t God say a lot of similar things during this stage of His work? But do the people of today appreciate God’s heart? Can you grasp the will of God I just spoke of? You can’t even discern God’s will when it is this concrete, tangible, and realistic. That’s why I say you don’t have real knowledge and understanding of God. Is this not true? That is all we will communicate on this section.